It's not easy to find a success story as genuine as Creed's in popular culture these days when considering all of the carefully scripted rises to glory and the falls that inevitably follow careers built on hype. If any band in recent years can claim to have ascended strictly on its own merits, it's Creed. This Florida-based band went from zero to sixty, (or, more accurately, from zero to selling more than twenty million albums) by virtue of a combination of finger-on-the-pulse songs and powerful live performances. Their debut album, My Own Prison, has sold over six million albums to date. Creed's sophomore effort, Human Clay, debuted at #1 on the Billboard charts and has gone on to sell more than 10 Million copies. The band's third release, Weathered, also debuted at #1, selling more copies in its first week than any other rock release in 2001, and tying the record for the longest run at the top following a #1 debut. "With My Own Prison, I knew we had the talent to get a record deal and I knew we had songs good enough to get played on the radio, but I never had any expectations of reaching this many people," says Creed's frontman Scott Stapp. Nonetheless, the band's success has been truly phenomenal. Creed was the first band in history to have four #1 Rock Radio singles from a debut album. On the strength of their singles, including the crushing title track and the more pensive "What's This Life For," Creed topped countless year-end charts and was recognized as the Rock Artist of the Year at Billboard's 1998 Music Awards. Their debut album was also the #1-selling Hard Music album of 1998 on SoundScan's Hard Music chart. With the release of their second album, Human Clay, Creed upped the ante yet again. "Higher," the first single from their 10-times platinum sophomore release, broke the Active and Mainstream Rock airplay records for the most consecutive weeks at #1, holding the coveted spot for eighteen weeks. Furthermore, Creed was recognized once again as the Rock Artist of the Year at Billboard's 1999 and 2000 Music Awards. Human Clay 's first three singles ("Higher," "What If" and "With Arms Wide Open") again achieved #1 status, setting a record with a total of seven consecutive #1 Rock Radio singles. "We're the type of band that functions really well under pressure and the only pressure that we recognize is our own. We definitely wanted to top ourselves [after the My Own Prison album]," says Stapp. "We wanted to make a really great record. The band's goal has always been to make records that are solid from start to finish; records that take you through an entire range of emotions." Guitarist / co-writer Mark Tremonti added, "We always kept in mind that we had to write for ourselves because as long as we are proud of it, our fans will be as well. We try not to set any other goals above and beyond that." While Stapp grants that the band's increased resources had some impact on the structure of Human Clay, it's clear that Creed's evolution is far more than just a matter of dollars and cents. Once again, Creed has returned with an album of songs that collectively offer the listener a passionate journey of emotive energy. Tremonti and Stapp's collaborations stand among the select few that seem to effortlessly draw the listener in and truly move the spirit through the simple art of expression. The lead single, "My Sacrifice," opens with a signature Mark Tremonti guitar intro and then envelops the listener with the mood and power no other band today commands. 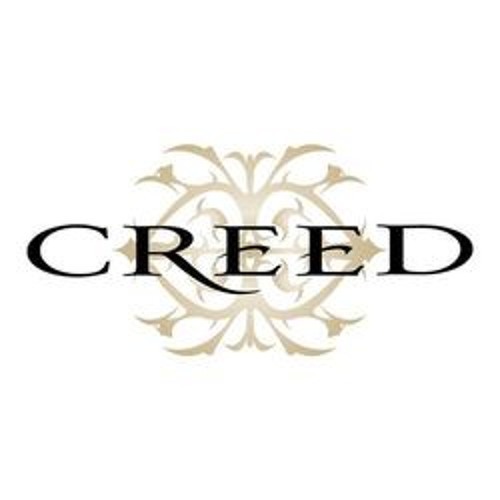 For Weathered, Creed once again turned to longtime friend and producer John Kurzweg to ensure that they captured the anthemic guitars, dramatic vocals and bold lyrics that have made the band's brawny-yet-intimate sound a radio staple for several years. The band also decided to invite Kirk Kelsey, their longtime live sound engineer, to co-produce the new material. Together with Kurzweg and Kelsey, Creed recorded the new album in a home studio just outside of Orlando. Drummer Scott Phillips commented, "We've done our previous two albums in home studios and have felt that this is our best creative environment where we can feel comfortable and creative as a band." Guitarist Mark Tremonti performed all of the bass guitar tracks on Weathered and a few special guests made passionate contributions to the album. On "Don't Stop Dancing," the band was joined by the Tallahassee Boys' Choir and Amie Stapp. Regarding his sister's appearance on the album, Stapp noted, "I had been looking for a female vocalist for awhile and it dawned on me that I didn't need to look any farther than home." On "Who's Got My Back?," vocalist Bo Taylor, an archivist at The Museum of the Cherokee Indian, makes a special appearance on the invitation of Creed. Taylor mentioned, "I really like Creed's music because they are asking questions that all human beings should ask as they look outside of themselves. Music touches people and Scott contacted me to celebrate where he originally came from and to reconnect with his ancestry. It speaks volumes about his character that he reached back and made this statement and it means a lot to me personally that he did this." "I think my lyrics are very direct and understandable," says Stapp. "People can relate to that, so that's something I didn't want to move away from. At the same time, we're a little bit older and more mature now and we've been through a lot in the past few years, so we are looking to put things across in a way that reflected that." Co-writer Mark Tremonti added, "We wanted to take our sound and expand on it. I think Weathered is the most diverse, dynamic record we have written to date." Creed's reputation for dynamic and passionate live performances has led to consistently sold-out shows. Over the past four years the band has played to more than four million fans worldwide. "We were out on tour for a long time and wherever we went, there were people telling me how much certain songs meant to them and how they felt so close to them," says Stapp. "That means more to me than any other kind of attention. It's important to feel as if you're doing something worthwhile and in this band, with Mark and Scott, I feel like I am." On a similar note, drummer Scott Phillips added, "Our success has been dictated by the fans. They are the most important thing in the band's life. The three of us feel blessed to have such a great following of people. It's amazing to me when I sit behind the kit during a show and see the passion and emotion displayed by the audience." In January 2002, Creed embarked on a world tour that will bring them to over one million fans throughout the year. The year began with a trek across North American arenas in January, after which they touched down in Australia and New Zealand in July. The band will then return to the U.S. for a Summer / Fall stadium tour. When asked before the tour about his feelings on getting back on the road and in front of the band's fans, guitarist Mark Tremonti replied, "Personally, I can't wait to get back on tour. It is something I truly enjoy and can't live without. It has been too long since we played a full blown show." Scott Phillips mentioned, "It's been over a year since we've had a chance to perform in front of a crowd. Our experiences in previous years have been amazing and we can't wait to continue that feeling." In 2000, Creed's presence on television and their impact on end-of-year award shows were undeniable. The band released their VH1 Behind The Music special, taped and released VH1's Storytellers with The Doors and garnered numerous awards. In November, Creed earned two awards at the Radio Music Awards and the fans bestowed four awards on the band at the My VH1 Awards. They also received the award for Rock Artist of the Year, for the third year in a row, at the Billboard Awards in December. The writing team of Mark Tremonti / Scott Stapp kicked off 2001 by winning a Grammy Award for the band's composition, "With Arms Wide Open," a deeply personal song that was inspired when Stapp learned he was going to become a father. Stapp is also continually besieged with requests to help with a variety of fund-raisers and charities and helps whenever and wherever he can. He has started his own charity, the "With Arms Wide Open Foundation" in an attempt to help underprivileged children and to be able to give something back to the communities that have supported Creed.